Claire Matthews has stepped down as chairman of the beleaguered Co-op Money, the industry association for member owned credit unions. In a statement Co-op Money said Matthews, director of academic quality at Massey University, is quitting due to work commitments but will remain as a director until her scheduled retirement next September. Matthews is being succeeded as chairman by Richard Westlake, who advised the Co-op Money board between July 2017 and July 31 this year when he formally joined the board as its independent director. The change in chairman was announced without fanfare on Friday, with Co-op Money's press release not provided to interest.co.nz. This was the same day Fitch Ratings downgraded Co-op Money's credit rating by two notches to B+ from BB, citing tight liquidity, weakening capitalisation and the likelihood its core operations will remain unprofitable for the next 18 months. Co-op Money recently reported an annual net loss of $2.512 million, and a restated June 2017 year loss of $104,000 versus the previously reported profit of $769,000. The restated results came after Co-op Money corrected an error in accounting for future funded premiums at Co-op Insurance NZ, its insurance business. The restated results also meant Co-op Insurance's minimum solvency capital was below what was required under its Reserve Bank insurance licence at both June 30 2017 and June 30 2018. Co-op Money has sold its non-life insurance business to Provident Insurance, and its life insurance business to Pinnacle Life, with the Reserve Bank approving the sales on July 23 and August 9. Matthews' departure follows that of Co-op Money CEO Henry Lynch in April after nearly eight years in the role. Jonathan Lee, previously chief operating officer, stepped up to become CEO. Interest.co.nz has been reporting since July on challenges Co-op Money's facing, including its members shifting to a new Oracle Flexcube core banking system. These articles can all be found here. In the press release Matthews said her intention to retire at the end of her director rotation next September had been well signalled. "However, with the appointment of Richard to the board and my heavy work commitments, this provided a good opportunity to me to pass over the chair role early. We have a number of significant member projects and exciting initiatives underway and it makes sense for the chair role to be filled by someone who can see these all through to completion. The board and members have also always had a preference for the chair to be independent and I am pleased we have been able to do this now. I look forward to working with Richard and the board until my retirement next year," said Matthews who is also a director of Co-op Money member Credit Union Baywide. 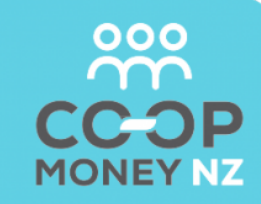 “Co-op Money NZ and its members are going through a challenging period right now but we also have a truly exciting future ahead of us with new enabling legislation recently enacted and a modern Oracle core banking system rolled out to the majority of members with the remainder to be soon migrated. Our larger members have already begun work on the next stages to leverage this investment for their digital strategies and in the context of an open banking environment," Matthews added. Co-op Money says Westlake has 25 years of corporate governance experience including being appointed by the World Bank’s private sector arm, the International Finance Corporation, onto the board of RCBC Bank, one of the largest banks in the Philippines. He is also the founder and managing director of Westlake Governance Ltd, a Wellington based corporate governance firm. He has also been an independent director of Kiwibank and South Island CEO for Trust Bank Canterbury, and then WestpacTrust. Nothing she did was successful - She lost the coops biggest customer, lost two other customers and led coop to a huge loss of shareholder value and presided over an IT project poorly put together that has run massively over budget that resulted in Aotearoa Credit Unions woes and obviolusy gets the chop when the credit rating drops like a stone (Why is she still on NZCU Baywides board with this track record???) -. She would have been more effective not doing any of the above and simply throwing cash out the window at Teed Street....So good news that she is "Movin' Out", she's been there for the longest time and no doubt finally felt the pressure. Unfortunately for Richard Westlake he is picking up a poisoned chalice and you have to wonder why he has risked his reputation for this gig - it is going to end badly.